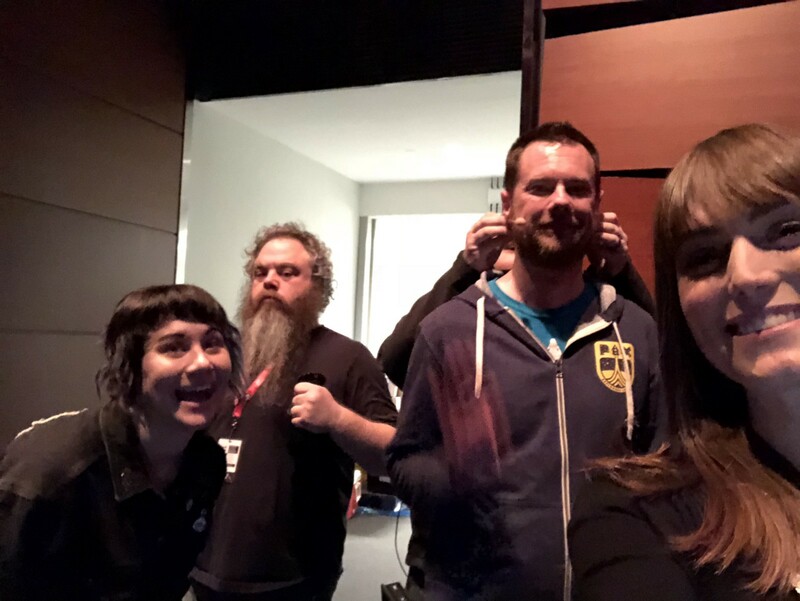 Behind the Scenes: Acquisitions Inc.
One of my favorite things to do is to play D&D on stage at PAX with Acquisitions Inc. Because you never know what is going to happen next. Môrgæn and Morgan share a motto: one shot one kill. Also, I do not take any credit for this image. All rights, reservations, and everything else go to Penny Arcade. ←This is my character Môrgæn. 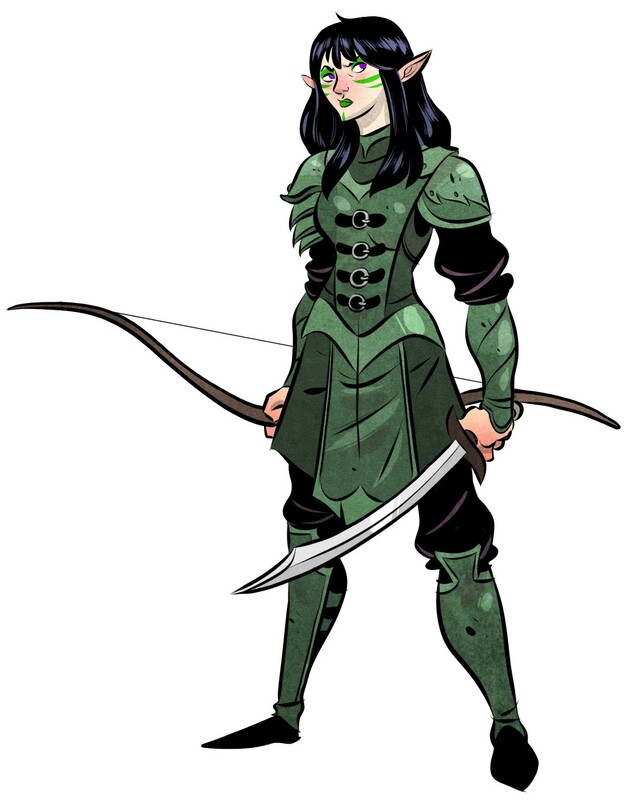 She is a ranger. She is awesome. I have, until now, focused on DPS rather than any type of animal handling, but at Level 9 I took a new spell — conjure animals. It proved to be just a teensy, eensy, weensy bit overpowered. You’ll have to make it to the end of the video below to see the carnage, but I’ll just say, there was a lot of blood. We had a four person team, and one of our usual players, Mike Krahulik (Jim Darkmagic III, Wizard, general Lothario) took the role of GM. 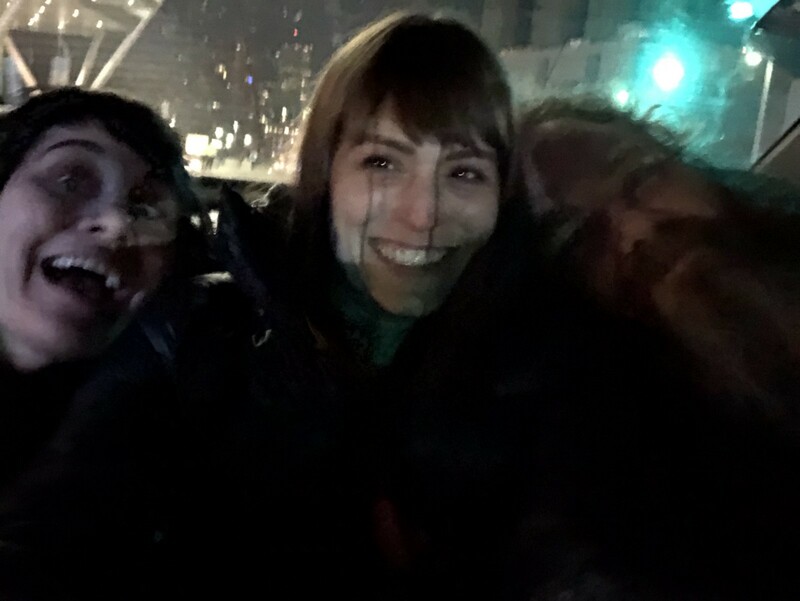 Joining me in this adventure was the half-elf Cleric and Masked Lord of Waterdeep Omin Dran (Jerry Holkins), clothing-challenged Rogue Viari (Patrick Rothfuss), and Tiefling Sorceress Strix, AKA The Trash Witch (Holly Conrad). The game was Battle Royale. We all started out with nothing, and had to search for loot and avoid the ever closing circle of Green Flame. The madmen at Penny Arcade had actually created an application that allowed the circle to close, and even tracked our kills, in real time. Also there were Loot Crates. Fortunately, Viari brought cash. 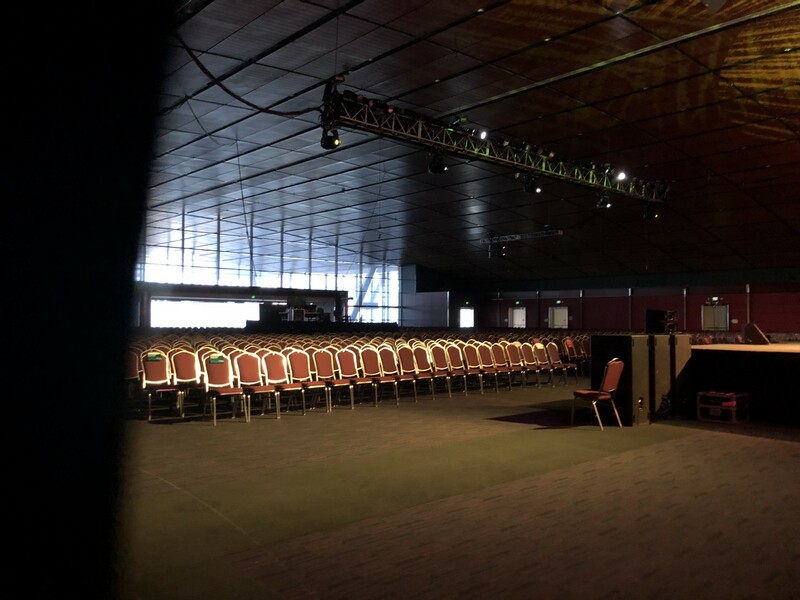 The calm before the storm…AKA…Morgan gets nervous that she will be in front of thousands of people and suddenly forget how to do basic math. 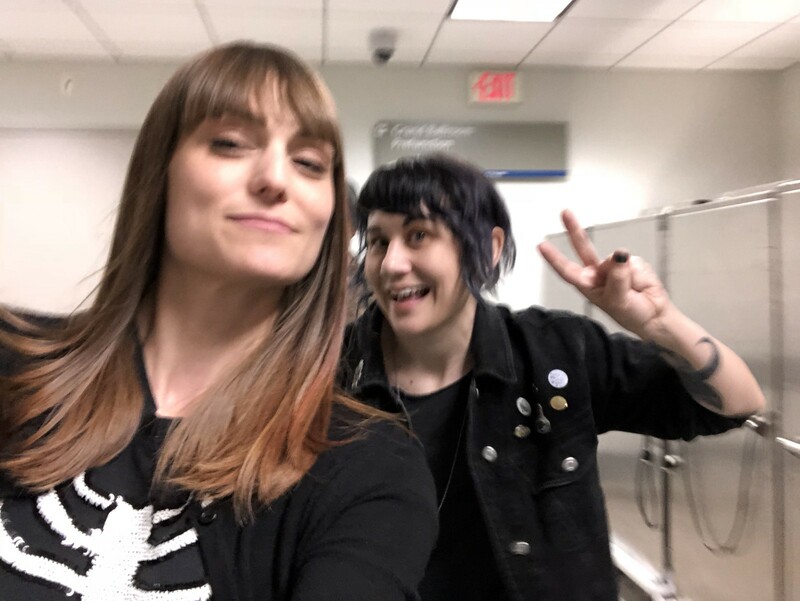 This is the first time I met the amazing Holly Conrad in person. I saved all my trash for her!!! 🗑❤️. I hope it makes up for the chicken thing 🐓🐓🍗🍗. Getting mic’d up to go on. Patrick Rothfuss isn’t punchy, he’s just clutching his velvet bag of dice. The assho…I mean, our amazing, fantastic, nice, sweet GM Mike Krahulik. 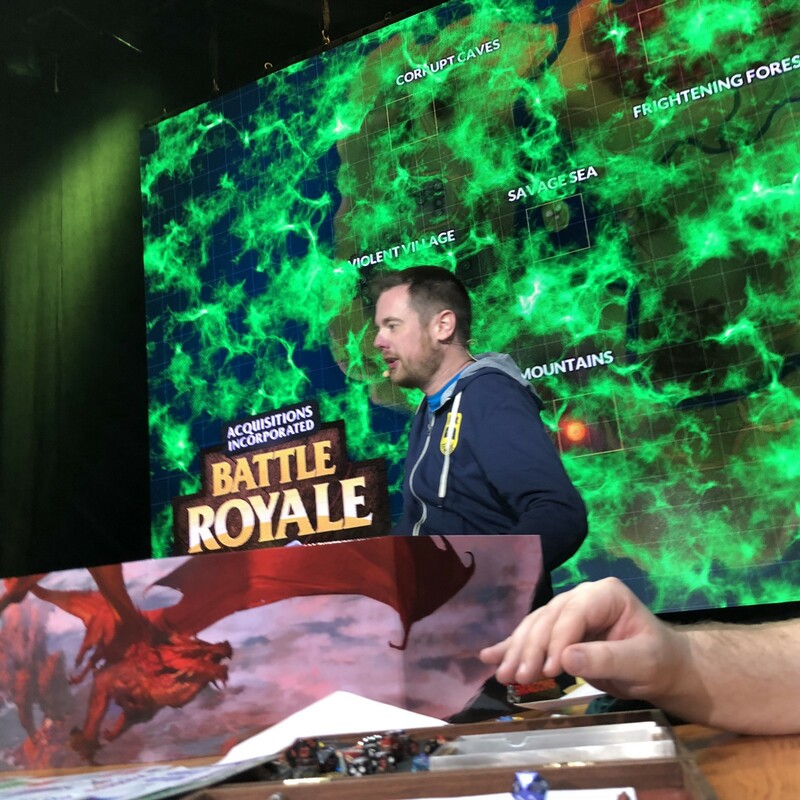 He made a bunch of money on loot crates, and very, very, very much enjoyed closing the Battle Royale circle on us. Omin makes a choice. No spoilers here, you have to watch the video. 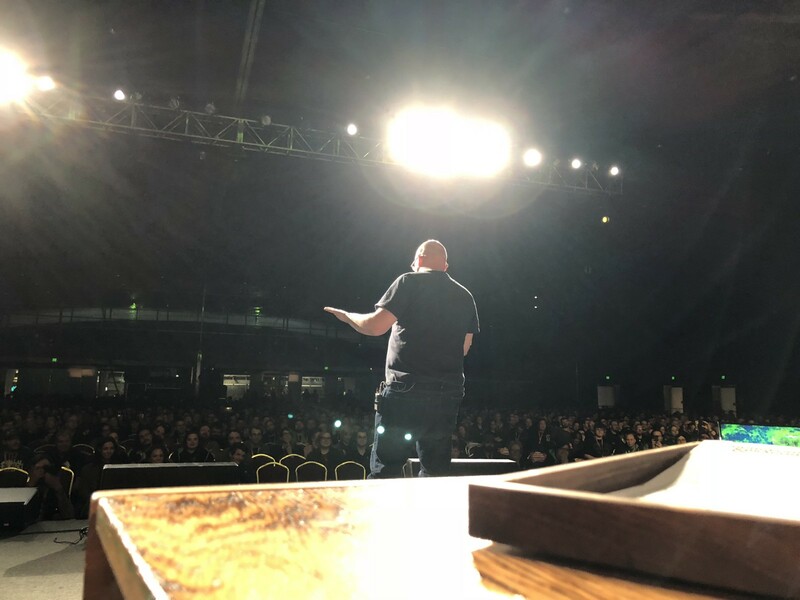 After the game we went out to celebrate remembering our basic math — even in front of thousands of people! Yes it was raining. 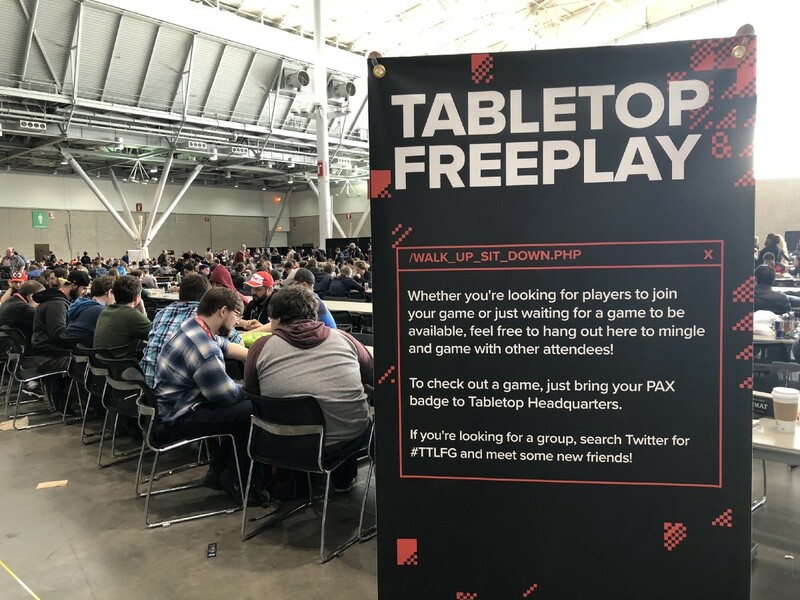 Things I love about PAX : The Freeplay Area, and Pin Trading. 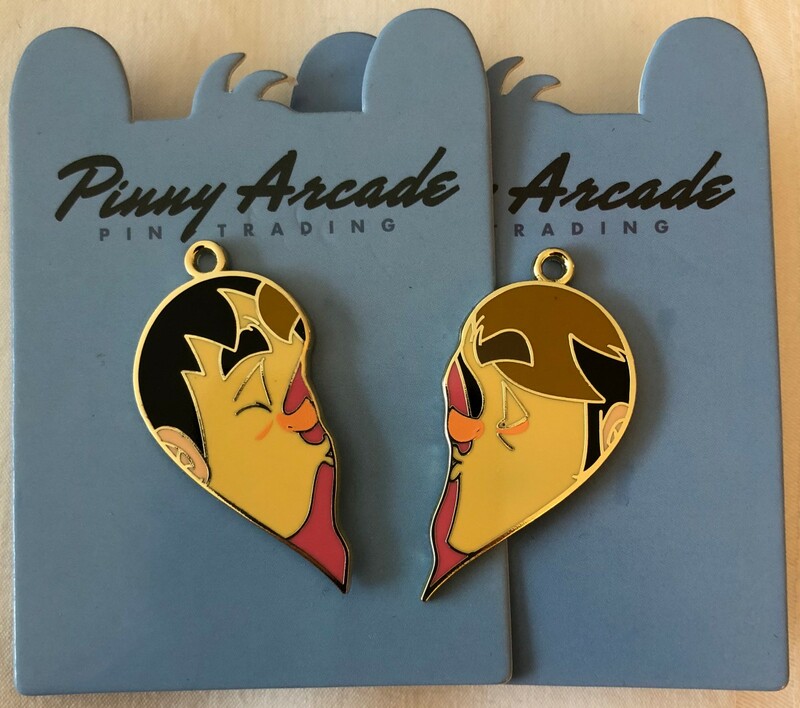 Fun fact: you have to make kissy-face noises when you put those two pins together. Sorry, them’s the rules.